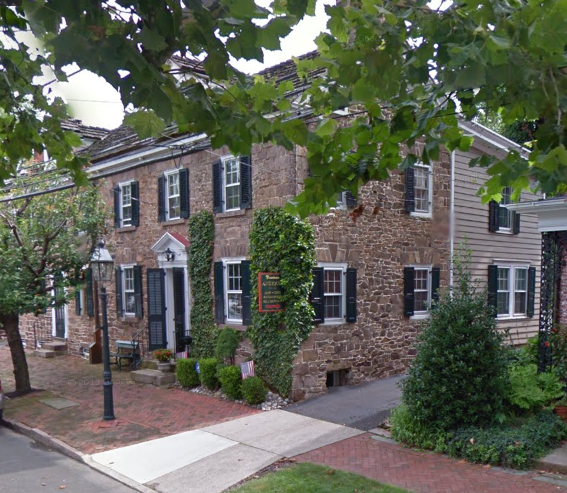 The quiet streets of Newtown hold a lot of history, including that of an old house on State Street. Built about 1801, the old house was once the home of Violette Hicks, sister of the well-known painter, Edward Hicks. Violetta and her husband, Thomas Kennedy, and their young son had been living there only a short time when Violetta tragicly lost her life while rescuing her son from drowning in the Newtown Creek which ran just a short distance from the front of their house. During the 1970's , the house was home to the Charles Miller family, who noticed a few oddities about their historic home. The wife, Ann, had been startled when a silver-backed haribrush flew unaided off her vanity and landed in her husband's lap, where he reclined on their bed. On another occasion, they were taken by surprise when an antique Victrola in the attic began spinning an old record without being touched! Needless to say, the Millers were a bit uneasy in the house and invited a number of spiritualists in to see what was going on. When one of the visitors mentioned seeing a lady dressed in black, it was deemed to be the spirit of Violetta from so any years ago.